In December last year I was a guest of Lufthansa and Fraport for a visit to the Frankfurt airport and Lufthansa world headquarters. Having travelled from Bangalore till Frankfurt, I decided to visit family in London after the visit, and would return via Munich to Delhi. 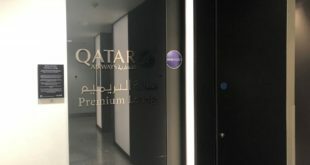 Throughout the trip the on-board service was excellent in both business class (between India and Germany) as well as economy class (between Germany and London). I am spoilt, having flown a million miles on fellow Star Alliance carrier Singapore Airlines with its legendary cabin service standards, and even by these high standards, the Lufthansa cabin crew were good. They were polite, courteous and gracious, and at the same time very professional, and very efficient. Hat tip ladies. The ground service at Bangalore and Munich airports were exemplary. Frankfurt airport left a little to be desired, but I would put it down to a severe over-crowding and terminal upgrade work, more than anything else. 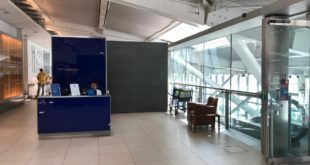 At London Heathrow, where Lufthansa has outsourced its entire ground handling including passenger check-in to Menzies Aviation, I had such a negative experience that all the pleasant memories of the trip were eroded to naught. The Menzies Aviation personnel could not care less for a Lufthansa passenger, projecting a sullen and completely unhelpful attitude to the point of being rude, even in business class. They follow the rule book to the point of destroying customer experience, and the way they chase every penny of incremental revenue, like over-weight charges, one would think they are paid on commission. Add to this a lack of adequate staff across all desks from ticketing, to commercial to check-in to boarding, leaves passengers frustrated, disgruntled and downright angry, long before they get on the flight, and also mis-utilises the few Lufthansa employees at the airport into performing jobs that are actually a Menzies responsibility. I really felt for the Lufthansa cabin crew ex-Heathrow. They received the brunt of all the negative feelings built up thanks to the poor ground experience which are a result of an outsourced process. I can fully understand an airline’s need to reduce cost, but at what cost? Is Lufthansa saving money if it looses customer satisfaction and brand loyalty in return? One can only hope someone of influence in Lufthansa reads this article and decides to do a savings vs. loss analysis on their decision to use Menzies Aviation. I drew parallels with the on-going battle in India about unified outsourced ground handling. 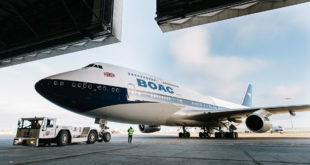 The ministry of civil aviation, supported by airport operators and ground handling companies, is trying to force domestic airlines in India to use ground handling companies instead of performing self-handling. Co-incidentally, Menzies has a significant presence in ground and cargo handling operations in India. Domestic airlines are opposed to the demand of the ministry, since it is requiring inclusion of passenger facing duties like check-in, to be outsourced. The check-in process is a crucial builder or destroyer of the passenger experience. 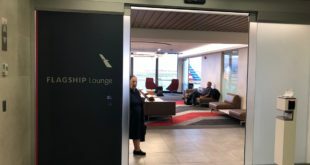 Airlines reward frequent flier brand loyalty with improved ground experiences be it checking-in at a separate or premium class desk or access to lounges, etc. May be domestic airlines should consider making an example of how Menzies Aviation completely erodes the Lufthansa passenger experience at London along with the airline’s brand perception, as a case-in-point to the ministry. 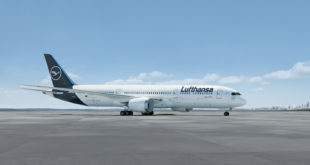 I for one will not fly Lufthansa to London Heathrow as long as Menzies Aviation handles any customer facing task for Lufthansa, nor will I recommend any Bangalore Aviation reader to do so. Disclosure: My travel from Frankfurt to London to Munich were self paid for by me. Furthermore, our code of ethics requires us to inform Bangalore Aviation readers with an accurate opinion, especially if negative, even on a sponsored trip.